Even those of us who don’t label ourselves a “perfectionist” have our moments of obsession with getting something just right. We generally think that being a perfectionist is an admirable quality. However, in The Time Diet, it can also lead to massive amounts of unnecessary wasted time. 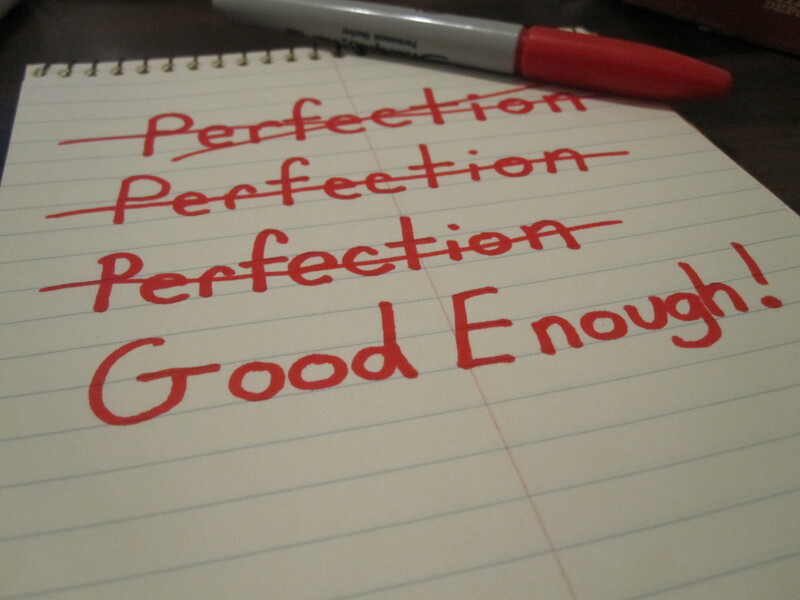 There are times when perfection matters and there are also times when “good enough” truly is good enough. Knowing the difference is important in time management. This week I have a research paper due for one of my grad school classes. Completing an entire original research study in one semester is generally considered to be an impossibility so my professor has asked for a rough draft to grade us on. She has stressed that this paper does not have to be close to final form yet, she just wants to see our progress. The perfectionist in me has had a difficult time with those instructions. I have declared myself “done” with this draft no less than 8 times over the past week. I have saved the document, opened up an email to send it to my professor, and then decided I want to add one more quote or change one more word. The problem is that this kind of perfectionism is a giant waste of time. In this case, my work does not have to be perfect and the relentless pursuit to make it so is not worth it. My time is far better spent finishing up other work. While I made countless edits to my draft, my other equally important work sat on my desk untouched. No work will ever be perfect. There will always be something you can change, something you can add, or something you can fix. At some point, you have to just say enough is enough and move on. As I’m posting this blog, my draft is sitting in my professor’s inbox waiting to be read. It is not perfect. Even when I fix it up and submit it to a journal, it will still not be perfect. However, it is “good enough”, and right now that’s good enough for me.